When police pulled over a car on Winthrop Street they discovered that the driver had a suspended license and when he was taken into custody they found a loaded firearm. One week earlier police seized a large quantity of drugs after executing a search warrant near Franklin Avenue. 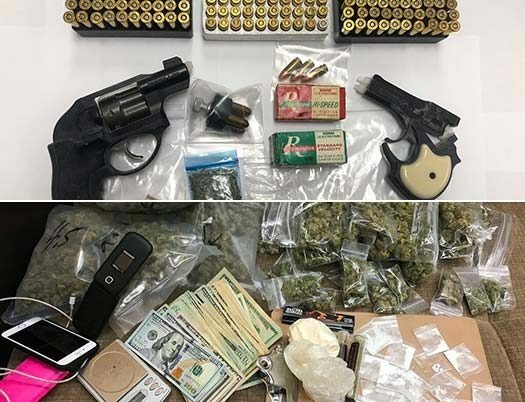 “The snow doesn’t stop up!” proclaimed a tweet from the 71st Precinct alongside a photo of two handguns, ammunition, drugs and a scale and it was officers Matos and Reusch that were credited with seizure. Police sources said that the officers pulled a vehicle over on Winthrop Street in Crown Heights and found that the motorist was driving with a suspended license. When he was asked to step out of the vehicle they discovered that he was armed. After being taken into custody the officers searched the vehicle and found another handgun along with a large quantity of ammunition, a speed loader for one of the guns, as well as drugs and a digital scale, often used in the drug dealing trade. All the illegal items were seized and the driver was arrested. 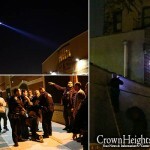 The week before the NYPD executed a search warrant near Franklin Avenue in Crown Heights, during the raid they seized a very large quantity of a variety of drugs, cash, scales and other items used in the sale and distribution of illegal drugs. Credit was given to Sargent Joe Lafata along with the Field Investigations Unit and the Anti Crime Team. 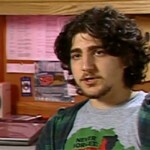 A police source said that the search warrant was executed based on information gleaned from a lengthy investigation. your state doesnt want to legalize cannabis!! Where on Winthrop Street did this occur? This is a small fish in the sea. Do you guys really think this is a BIG bust? what a joke!